Jonesboro, Ga. – This October, the Clayton County Convention & Visitors Bureau (CCCVB) is scaring up a frighteningly fun time with the launch of their newest minibus tour, the Jonesboro Historic Haints & Haunts Tour. 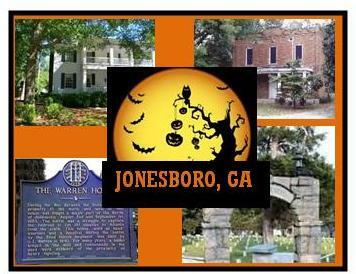 Hosted at 8 p.m. every Friday and Saturday evening throughout October (excluding Fri., October 19 and Sat., October 20), the Jonesboro Historic Haints & Haunts Tour invites visitors to explore the strange sightings, unexplainable encounters and dark secrets of Jonesboro’s past. The tour will also feature additional weekday tours during Halloween week including Tues., October 30 and Wed., October 31. A 90 minute adventure, Jonesboro’s Historic Haints & Haunts Tour is a guide-led minibus tour that provides the exclusive opportunity to explore five haunted locations on foot. Visitors will have the chance to inspect the shadowed corners of the historic train depot, investigate the century old graves of the Patrick Cleburne Confederate Cemetery, step within the grounds of the Warren House, discover the story behind the gates at Stately Oaks Plantation and uncover the secrets of the Old Jail. Departing from Jonesboro’s historic train depot/Welcome Center (104 North Main Street, Jonesboro, Ga. 30236), tours begin at 8 p.m. on all dates. Tickets are $22.95 per person and must be purchased in advance by calling 770.478.4800. Walk-ups will be accepted the evening of the tour based on existing availability. Group rates are available for parties of 6 or more by contacting Julie Bustamante at 770. 478.4800 or julie@visitscarlett.com. While the tour is family-friendly, no children under the age of 6 are allowed due to scary content. For more information, please visit www.AtlantasTrueSouth.com or contact the Clayton County Welcome Center at 770.478.4800. 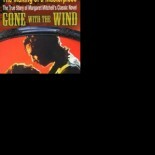 This entry was posted on September 21, 2012 by gwtwbook in Georgia, Gone With the Wind, Uncategorized.